Everyone knows the situation when unpleasant tasks are completed at the last minute. Find out what Parkinson's Law is all about and how you can use it for better time management. You probably know a couple of cases from your day-to-day work where we could easily transfer this quote to projects. At the beginning of a project, buffers are usually planned generously for the individual project phases in order to be able to react to unscheduled changes and not be delayed in the end. Nevertheless, at the end of the project there is stress and hectic activity and the on-schedule completion of the project becomes more and more questionable. What is Parkinson's Law exactly? The reason why it gets so stressful shortly before deadlines is often an overly generous time frame. This buffer often leads to procrastination and causes a lot of dawdling, especially at the beginning of the project as there is still enough time to complete all tasks on time. And so decisions are delayed and external partners remain on hold. According to this view, a task or project would never be completed with less effort than planned. How does better time management work according to Parkinson's Law? To ensure that the project team does not run out of breath in long-term projects, it is important to celebrate intermediate goals - i.e. to work with several milestones. As a result, project team members in complex projects with numerous activities and tasks do not lose sight of important stages. With InLoox, the project management software for Outlook, web and smartphone, both you and your team always have all milestones in view. 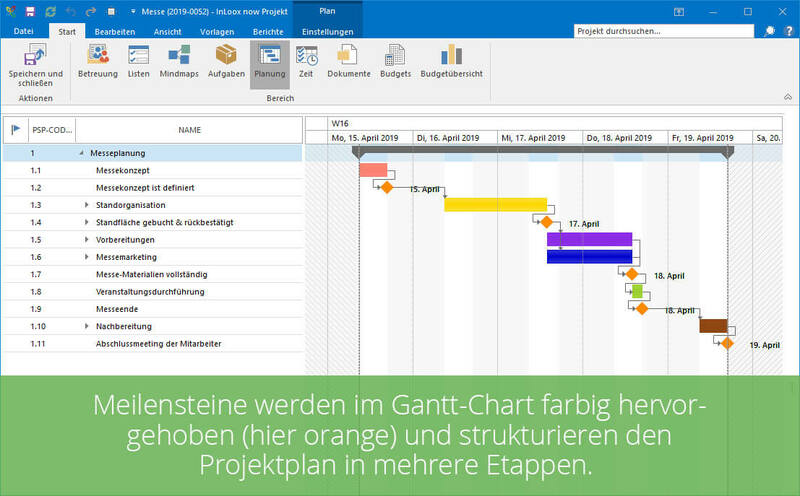 For this purpose, you create a clear Gantt Chart with activities, tasks and important milestones in the project planning. Plan only as many employees as necessary for a project and choose the right people. That is, only those with the skills needed for the project. With InLoox you store the most important skills for each team member. In this way, you can quickly locate the resources with the required know-how in the company and deploy them in the right place in the project according to their skills. 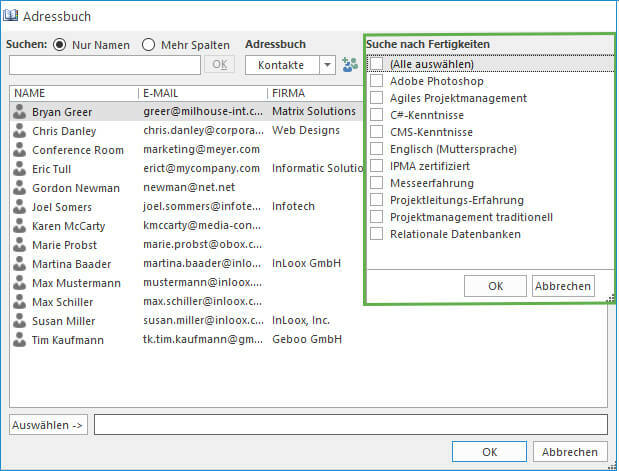 When assembling the project team on the management page of your project, you can quickly and easily search the address book for people with the needed skills. In general, plan less time for meetings. Because tight schedules not only motivate you, but also your team. In this way, the most important points are processed efficiently and unnecessary excursion to irrelevant topics is reduced. 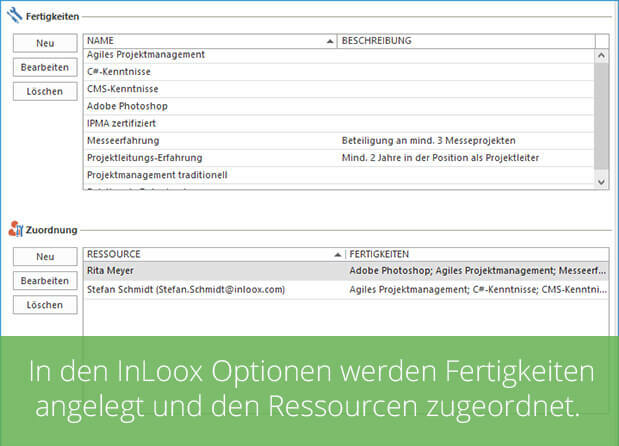 Parkinson's Law: Why we Waste so Much Time and How to Improve Time Management - InLoox • Copyright 1999-2019 © InLoox GmbH. Tutti i diritti riservati.